More than 10 years ago we launched the successful HR-series. 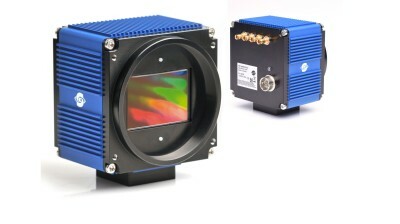 A series that now comprises high-performance CMOS and CCD sensors ranging from 12 to 49 Megapixels. 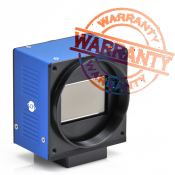 The owner of one of the first 11 Megapixel cameras we delivered 10 years ago recently contacted us. The camera has been in continuous use for 10 years without any servicing. The customer reported a problem with horizontal stripes in the image. Our first fault hypothesis was a faulty A/D converter. After 10 years of continuous operation, the first signs of what looked like fatigue started showing up in an 11 Megapixels HR-series camera. 10 years is a long time. A lot has happened since. The HR-series is today one of the most complete and highest performing offerings for demanding applications. Building on our ambition to design and manufacture cameras meeting even the highest demands on quality, and at the same time providing scalability to satisfy virtually every need, we’ve created a brand with global reach. Strong growth generated by our partners in Asia and North America is proof of a successful strategy. From the very beginning we had our focus on sustainable value creation and a close customer dialogue. All the way from the creation, on to long term availability all the way to our support - Year in, year out. The 11 Megapixel camera based on the Kodak sensor, later taken over by On Semiconductor, was one of our first success stories. a defect on the analog digital converter? After 10 years in continuous operation, a defective A/D converter? 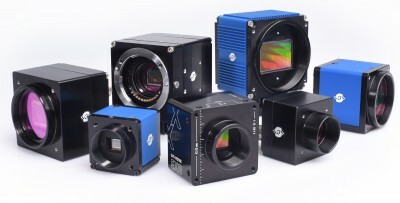 As the life cycle of machine vision components getting shorter, with shrinking factory production cycles, we are rarely made aware of such failures. This prompts us to work even harder to identity the failure source. After receiving and testing all the returned materials from the customer, our customer service could easily conclude that a failing power supply was at fault. The camera was returned to the customer who subsequently replaced the failing power supply... - The production line is once again securing the surface quality of wood around the clock. 24 / 7 / 365. Investing in solutions for inspection and choosing high-performance products pays off quicker than expected. We are at your disposal to consult you on all aspects of a successful combination of “the perfect image”. Are you also the owner of a camera that is still in operation, installed so long ago that no one seems to remember when? Contact us and tell us about your application. We will gladly include it in an upcoming feature.